As the sun sets on a Southtown Friday night, A train lumbers loudly by the packed Gallista Gallery. Tonight, the art isn’t just on the walls. It fills the room with a blend of rhythms drawn from Eastern Europe and South Texas. It's the result of human migration and the musical traditions that came with it. A musical mashup borne of South Texas History. A charming, dimple-smiled 8-year old boy holds an accordion half as big as he is. I asked him "So you getting excited?" "Yeah. I am nervous. Really nervous!" he laughed. Joaquin Linn is about to take the stage in front of a hundred plus friends, families and music lovers. All there to take in the magic of a music called Conjunto. 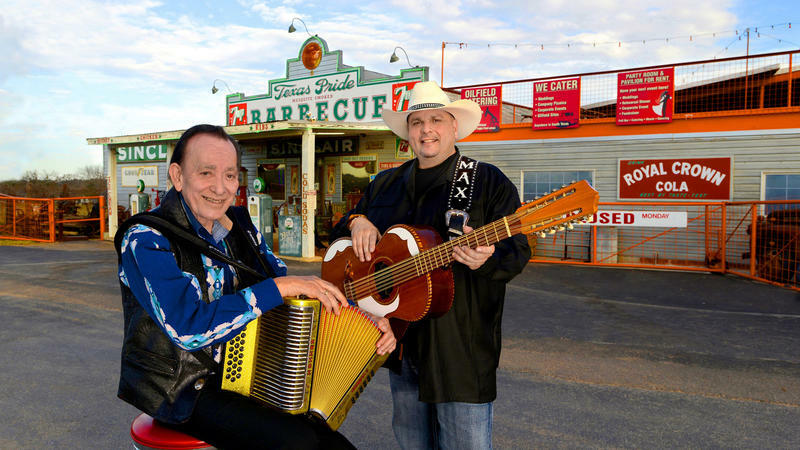 Rodolfo Lopez is a friendly, grandfatherly type who says Conjunto came about this way: the Tejanos here got their hands on those accordions and began making their own style of music. 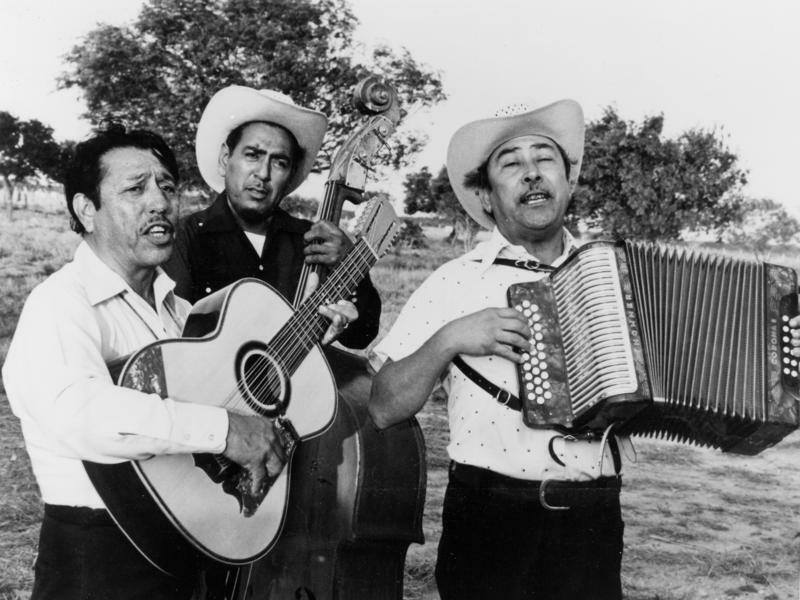 In the borderlands in the late 1800s the twelve-stringed, guitar-like—but quite different--bajo sexto appeared, rounding out and becoming the rhythm section for Conjunto. “And they started using the bajo sexto because of the base line. That’s what you dance to. It’s like the base drum and the snare drum (DONG chu, DONG-chu, DONG-chu). Rodolfo plays bajo sexto, providing that backbeat for Joaquin as he leans the accordion. The “here” is Conjunto Heritage Taller (pronounced tah-YARE)—that's the Spanish word for workshop. The non-profit organization keeps Conjunto music alive by providing young people accordion lessons. This is where Joaquin came to learn. "It was a few months ago, like six months ago," said Joaquin. His mother Andi Linn Garcia chimed in "As soon as he put the accordion on I could see a spark in his eyes. I could tell that he was in love with the instrument. Being his mom I could tell right away that it was something special to him. Nothing grabbed his attention like accordion." Joaquin said "She thinks I’m really good at playing but I don’t think that yet." Then he laughed. Neither Andi or husband Micah are musicians. But as Andi explained, they both have a curious link to the accordion. It struck me that this family was, like Conjunto, born of a mashup of cultures. "So you and your husband are essentially the lineage of conjunto music." Joaquin’s teacher at Conjunto Heritage Taller spends a lot of time helping him get it down and Joaquin gives him much credit. He’s progressed fast. After just six months of playing, Joaquin signed up for that Gallista Gallery competition. Rodolfo added “It’s being put on by Texas Folklife out of Austin. Back to the crowded Gallista Gallery--it was time for Joaquin to play. Joaquin poured his heart out and a receptive audience embraced him. A dozen or so other young people also played. So how did Joaquin do? He didn’t win this contest, but placed first in the hearts of many. For more on Conjunto Heritage Taller, go here. For more on Texas Folklife's Big Squeeze, go here. A casual listener would be forgiven for not knowing one kind of accordion music from another. But where two cultures in particular are concerned, the similarity comes with a century-old backstory involving immigration and imitation.